Pliosaurus is currently known by eight separate species. 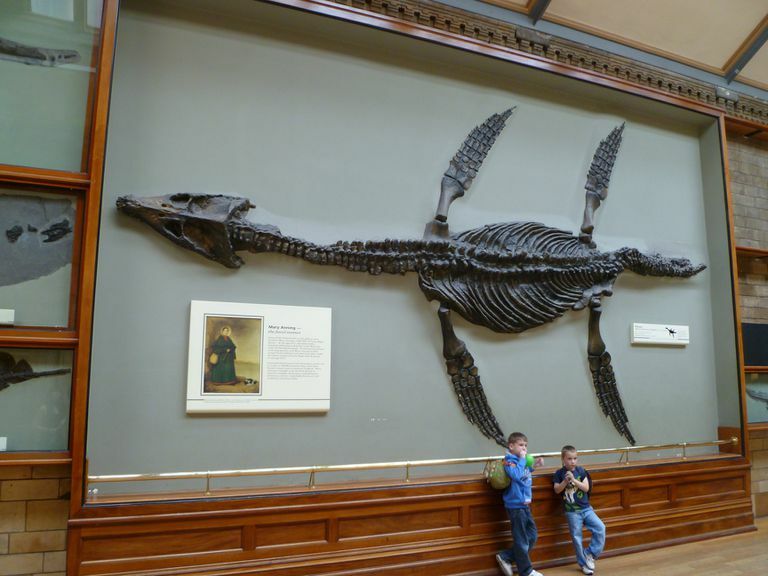 P. brachyspondylus was named by the famous English naturalist Richard Owen in 1839 (though it was initially assigned as a species of Plesiosaurus); he got things right a couple of years later when he erected P. brachydeirus. P. carpenteri was diagnosed on the basis of a single fossil specimen discovered in England; P. funkei (the above-mentioned "Predator X") from two specimens in Norway; P. kevani, P. macromerus and P. westburyensis, also from England; and the outlier of the group, P. rossicus, from Russia, where this species was described and named in 1848. As you might expect, given the fact that it has lent its name to an entire family of marine reptiles, Pliosaurus boasted the basic feature set of all pliosaurs: a large head with massive jaws, a short neck, and a fairly thick trunk (this is in stark contrast to plesiosaurs, which mostly possessed sleek bodies, elongated necks, and relatively small heads). Despite their massive builds, however, pliosaurs, in general, were relatively speedy swimmers, with well-muscled flippers on both ends of their trunks, and they seem to have feasted indiscriminately on fish, squids, other marine reptiles, and (for that matter) pretty much anything that moved. As fearsome as they were to their fellow ocean dwellers during the Jurassic and early Cretaceous periods, the pliosaurs and plesiosaurs of the early to middle Mesozoic Era eventually gave way to mosasaurs, faster, nimbler and just plain more vicious marine reptiles that prospered during the late Cretaceous period, right to the cusp of the meteor impact that rendered dinosaurs, pterosaurs, and marine reptiles extinct. Pliosaurus and its ilk also came under increasing pressure from the ancestral sharks of the later Mesozoic Era, which may not have compared to these reptilian menaces in sheer bulk, but were faster, speedier, and possibly more intelligent as well.